Rafe Maccon is the Alpha of the Macconwood Pack, for now. 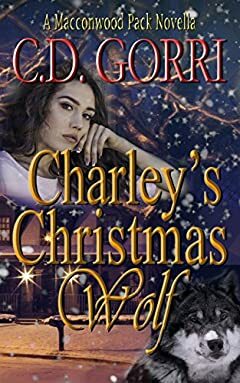 His rule is being questioned by a rogue Wolf who wants him ousted for breaking an ancient law that states the Alpha must be mated! He must find a mate in order to keep his position. Seeing their Alpha in trouble, Rafeâ€™s Wolf Guard take it upon themselves to find one for him. Charley Palmieri works a dead end job and lives alone with her cat until one night when her world is changed forever. Instant attraction sparks between them. Can Rafe convince Charley to be his before the meeting of Pack elders on Christmas Eve? Will she be his one true mate, for life?